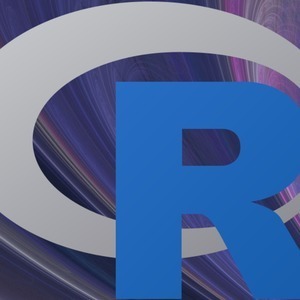 R is a free and open-source statistical computing environment. It has quickly become the leading choice of software used to develop cutting-edge statistical algorithms, innovative visualizations, and data processing, among other key features. R has seen tremendous growth in popularity and functionality over the last decade, largely due to the vibrant and devoted R community of users. Whether you have experience with commercial statistical software such as SAS or SPSS and want to learn R, or getting into statistical computing for the first time, the R-Podcast will provide you with valuable information and advice that will help you to tap into the power of R. Our intent is to start with the basic concepts that can be a struggle for those new to R and statistical computing. We will give practical advice on how to take advantage of R’s capabilities to accomplish innovative and robust data analyses. Along the way we will highlight the additional tools and packages that greatly enhance the experience of using R, and highlight resources that can help people become experts with R. While this podcast is not meant to be a series of lectures on statistics, we will use freely and publicly available data sets to illustrate both basic statistical analyses as well as state-of-the-art algorithms to show how powerful and robust R can be for analyzing today’s explosion of data. In addition to the audio podcast, we will also produce screencasts for hands-on demonstrations for those topics that are best explained via video.